One year after Cyprus` exit from an economic adjustment programme funded by the EU and the IMF, S&Ps upgraded on Friday Cyprus long-term credit rating to BB+ from BB in its second consecutive upgrade since last September. After Friday's rating action, Cyprus is only on notch away from the investment grade category. 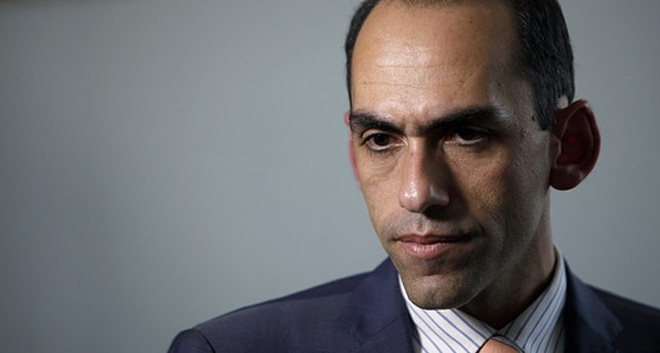 “This upgrade constitutes a very credible confirmation of the Cypriot economy`s growth prospects as well as a confirmation of the stable and sustainable course of the public finances as well,” Georgiades told CNA. He highlighted the agency`s projection that a balanced budget, which constitutes the government`s basic target, as well as the very satisfactory growth rate will continue in the medium term. Georgiades also highlighted that fact that this upgrade comes one year after Cyprus exit from the financial assistance package. “This precisely confirms that no fiscal relaxation or growth slack took place in the last year but in fact these were maintained and strengthened,” he said. He recalled that in this context the government has taken actions such as the indefinite freeze in hiring in the public sector, as well as agreement with the civil servants trade union for no salary increments for the period of 2017 and 2018. Furthermore, Georgiades pointed out that Cyprus should heed the remarks by the agency both concerning future upgrades as well as the issues that would retract Cyprus` upgrading track record. The Finance Minister said the government will shortly table new proposals for the civil service reform and for attracting a private investor in the island`s Telecommunication company (Cyta), proposals rejected by the parliament. He said the government will incorporate positions and concerns by the parliamentary majority in a bid to maintain the reform momentum because this the expectation shared by the international investment community as usually reflected by the rating agencies.